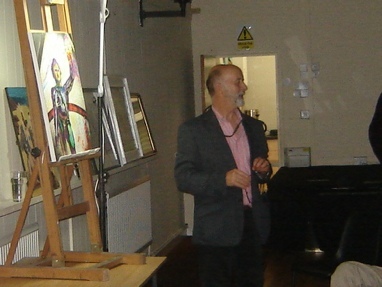 Nearly 60 Society members enjoyed a very entertaining 'critique' evening with Roger Haigh, an old friend of the Society. 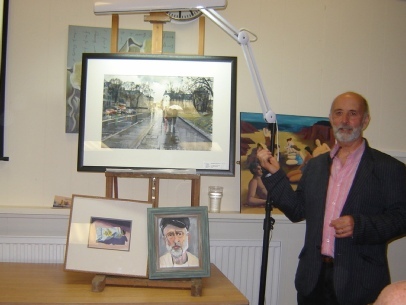 A regular visitor, who had recently judged our Annual Exhibition, Roger gave us his thoughts on the 30 pieces of work. 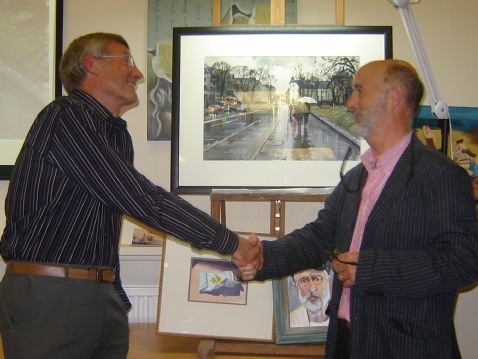 His personal choice was a watercolour by Dr. Anthony Douglas-Jones entitled "A Rainy Day, Park Place"